What I like about Berlin is that there are always surprising places to discover. Since food is one of our main interest and attractions, finding a great restaurant, with both a surprising atmosphere and excellent food, can transform your entire day. While in Berlin, I had the chance to enjoy my lunch at The Grand restaurant, an incredible place where history meets modern and where food preparing is raised at the level of art. In my opinion, this restaurant is one of the places you need to see in Berlin, this is why I decided to talk about it and share a bit of my experience. 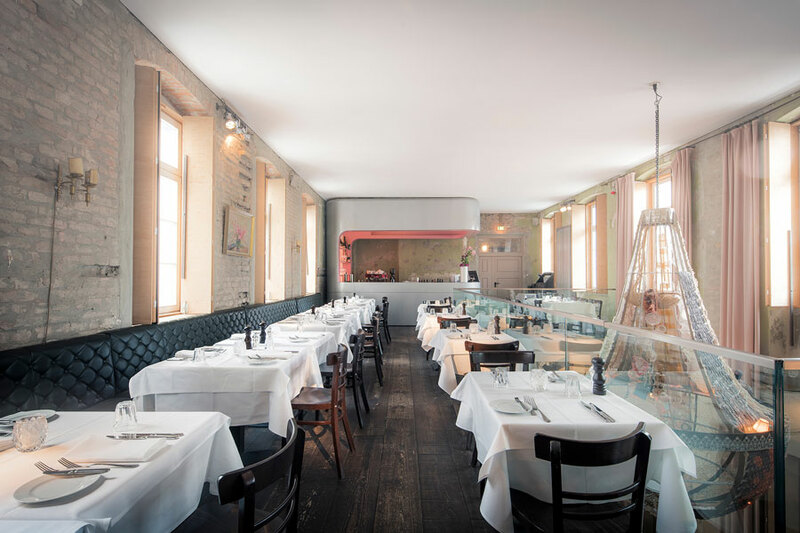 You will find The Grand restaurant on Hirtenstraße 4, on the spot that once was a community school for the children that were coming from families with a more precarious financial situation. The building of the restaurant was built in 1842 and, even if it was renovated just 3 years ago, some of the original walls were left as the way they were back in the days. 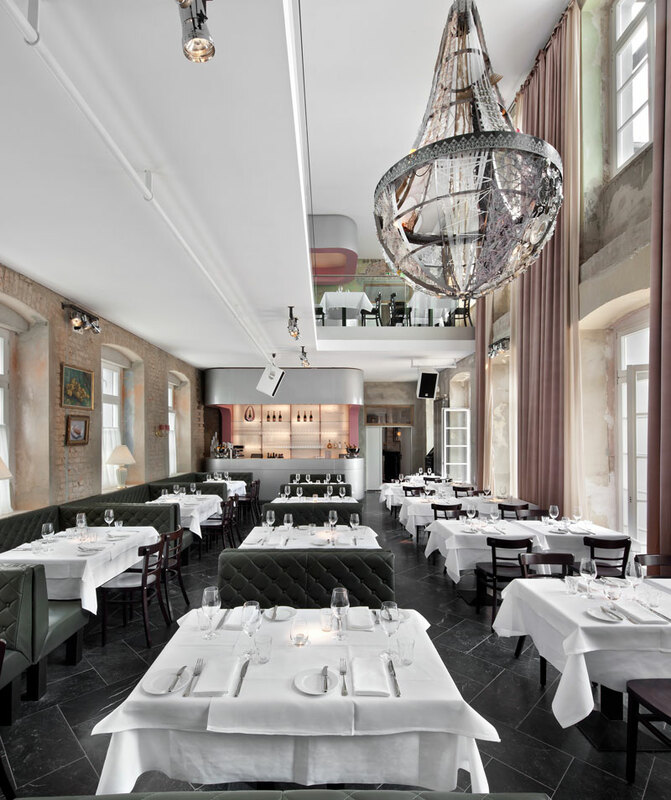 So, the interior of the restaurant has a particular charm and melancholy, which entwine with the posh details added by Jesko Klatt, a famous restaurateur in Berlin. In fact, the building stood empty an unused for two decades, until its value and potential were recognized and it became the amazing restaurant and event venue it is today. Yes, you heard that right, The Grand is an incredible venue for a variety of events, due to the fact that it has no less than 6 different venues, which were designed in the style of elegant and luxurious suites. There is more to this as well because if you choose to visit The Grand, you will find a bar and lounge club at the same time. So, it is an all-in-one solution for everybody that is looking to enjoy a luxurious and high-end experience in this city, in the authentic manner that is specific to Berlin only. Once you entered the restaurant, allow the charm, which can probably be found in Cuba, surround you. The indoor space is beautifully decorated with the help of elegant old English furniture, which is even more noticeable due to the marble floor in a classic color. A large and modern chandelier is meant to make the connection with our present, together with the high-quality details that can be met throughout the restaurant. But, getting back to food, I am going to tell you about the lunch I enjoyed at The Grand. I selected from their menu the best meat dish they could offer. I am talking about a premium Irish dry-aged entrecote that was cooked up to perfection, at 800 degrees Fahrenheit, with the help of an American oven. 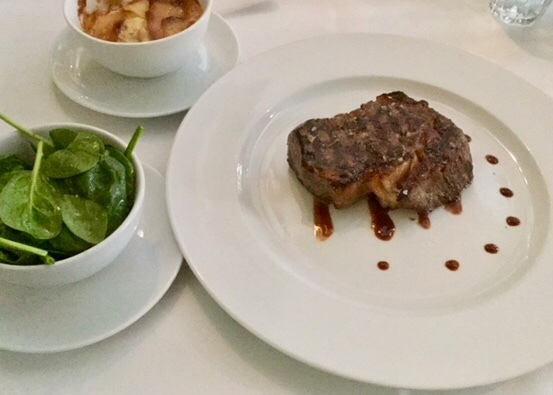 The extraordinary flavors and tenderness of the meat were perfectly accompanied by the side dish, composed out of a nice potato gratin and an incredible fresh spinach salad in truffle oil. 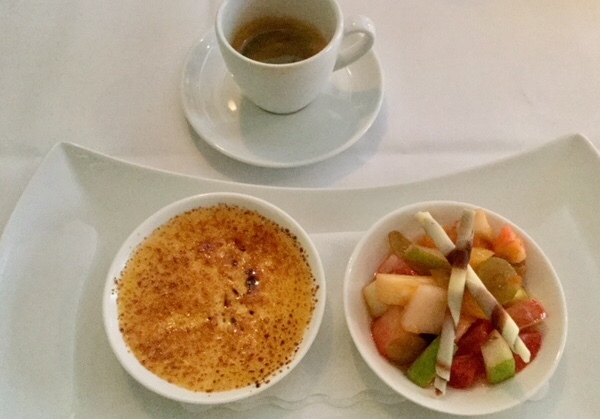 For dessert, I opted for something fresh, which was a portion of fruit salad and creme brulée, prepared just as you would expect at a top restaurant. Thus, it was indeed an outstanding culinary experience. 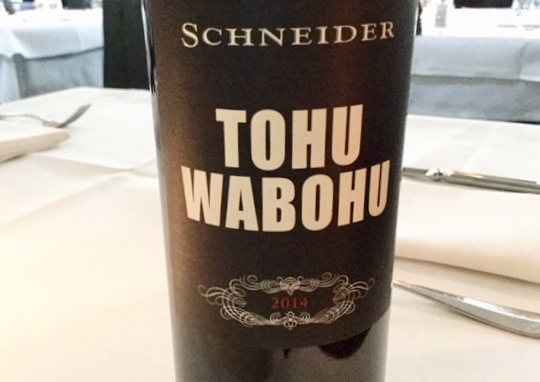 The wine card is wonderful like this very nice Tohu Wabohu 2014 perfect to enjoy a my Irish dry-aged entrecote . The wine card focus not only about scarce german wine but also top french Grand Cru like a Chateau Cheval Blanc at 2 500 euros, but for under 50 euros you got still a great choice to pleased the wine lovers. I must also mention that the service was flawless and efficient. Every staff member did their job with professionalism and with a big smile on their face, making you feel welcome, respected, and even spoiled I could say. They really knew how to provide a luxurious experience for their guests, because, in my opinion, great food loses its value when it is not accompanied by excellent services. But The Grand definitely has them both and even more than this.